The Pete trying to guard someone from the UK team. Moving across the world for your senior year can bring some exciting and very unexpected surprises. For a recreational ultimate frisbee player from St. Louis to be able to represent the country of Qatar in the 2015 Beach Ultimate Frisbee World Championships in Dubai, well, it was just plain incredible! Quote: "Best week of my life" (and then looking at me), "without my family." https://www.youtube.com/watch?v=M7LNJObxSBU Twenty-five countries, with 1,000 athletes, were represented from all over the world, and lucky for him, he was to play teams from Kenya, the UK, U.S., Australia, France, Canada, and Singapore. Think "the Olympics" with athletes from all over the world on a beach throwing a frisbee (they even had an opening ceremony). In fact, the World Championship Beach Ultimate is recognized by the International Olympic Committee. So I guess it's almost like you played in the Olympics, right? Beach Ultimate is different than Ultimate because of fewer players (five on a side), and the field is smaller (75mx25m). Off go the shoes, with warm sand in between your toes instead. You can hear the wind and surf as you guard your opponent. The sand makes for fewer injuries, and people can play for decades. It keeps you in great condition, as you run in the sand, elbowing people a generation younger or older than yourself. 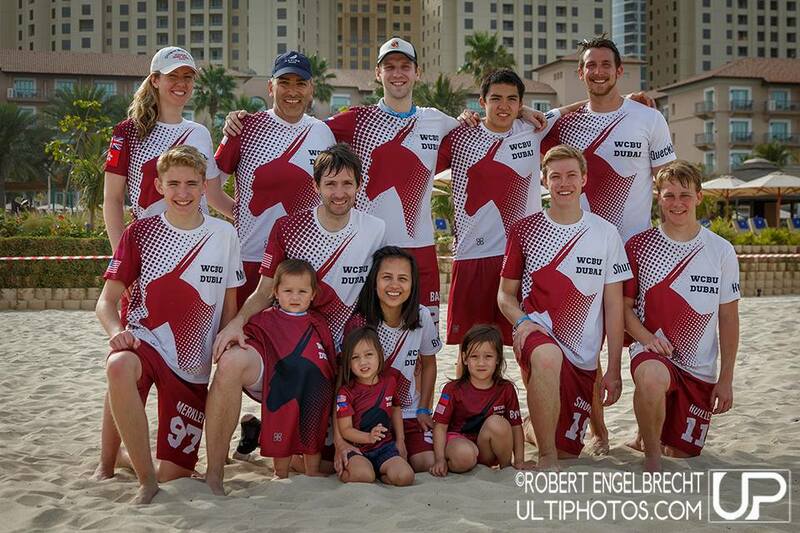 This is the 2015 Beach Ultimate Frisbee team from Qatar, even with some team members' darling kids in tow. 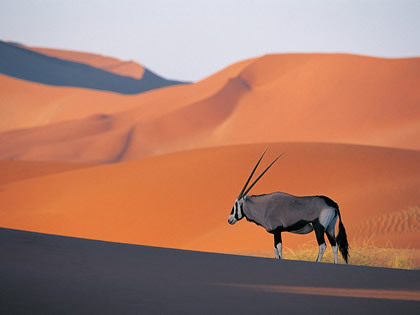 The Qatar team's mascot was the oryx, the Qatar national animal. You can see the oryxes on their team shirts. Here is the group huddle with the U.S. team after they played. The U.S. would later win the tournament. After France beat Qatar, they all shook hands, and laughed together. Peter said, "My friends and me (a few other high school students) were treated with complete and total respect. Even though some of these people had trained for years, we were all the same in their eyes. And that felt really good." After every game, the captain of each team would address the other team they had just guarded, chased, and drove to the line. They would converse back and forth about what they liked during the game--with a joke, a clap, or a compliment. Peter said, "Because you know there are no refs, there is a mutual trust and consideration for one another. After each game, there is a group huddle, and even gifts are given to the team or captain." The France team gave everyone a bracelet that had France inscribed. The U.S. team gave the team captain an umbrella with the Stars and Stripes on it. Memorably, the Australians serenaded them with a ukulele--the bush ballad Waltzing Matilda. The Australian captain then gave the Aboriginal instrument called a didgeridoo to the other captain. Music, gifts, laughs, cheers. This is what sports should be like: on the field, in the pool, or on the court or ice--and in life. I have been thinking about the "spirit of the game" or SOTG, and that it has some significant lessons for life--off the field or beach. Knowing that you will be face-to-face with a former opponent (not screen-to-screen), and have the chance to converse, interact, and cheer each other could be revolutionary in some political or business arenas. Maybe they need some more serenading and huddles at the United Nations--or at least a run in the sand together. Who would know that age, nationality, and socio-economic status can melt in the sand as you throw a plastic discus? This is a picture of the Pete getting a point in the U.S. vs Qatar game--pretty big grin! The Pete with two of his high school friends from Qatar. Do they look happy? Getting out of school for one week to play Frisbee? Yep, they all agreed. It was a perfect week. The U.S. and Qatar after their game. Go Team Qatar!!! You might have not won the tournament, but you (with four nationalities on your team) showed robust enthusiasm and pride as you brought Qatar for the first time to the World Championships in Beach Ultimate Frisbee. Four years from now....maybe you will win! This is so cool! I love that they play without refs. My nephew is a rookie with the professional Ultimate team, the Boston Whitecaps. He has scored and assisted already and it is so fun! Thanks for the info. It sounds like he has brought lots of exposure to the game in the UK!